Kevin Hammonds and Kristin Bair are an award-winning writing duo who have been working together since they were paired for their first assignment in the prestigious BMI Lehman Engel Musical Theatre Workshop in 2009. In 2015, the BMI Foundation honored them with the Jerry Harrington Award for Outstanding Creative Achievement for their writing within the Workshop and outside of it, including their original musical comedy, Up and Away. Up and Away (which was formerly titled Super Hero) was produced as a staged reading at the Snapple Theater by the Manhattan Musical Theatre Lab in November 2014. In April 2017, the Pittsburgh CLO produced a workshop of Up and Away for their inaugural Next Generation New Musicals Weekend, and afterward, the show was selected as the first world premiere to be developed through their Next Generation initiative. In addition to Up and Away, Kevin and Kristin were commissioned for projects with URock Theatricals and the New York City Children’s Theatre. Their short musicals The Sell and The Phobia Phobes were produced by the Prospect Theater Company as a part of their Musical Theatre Lab and New York Musical Festival Summer Intensive. Other musicals include Queen with a Crown and King of Kong, both of which were developed at the BMI Workshop. Kevin is also a published librettist/lyricist of numerous musicals with more than fifty productions in New York, London and around the world. 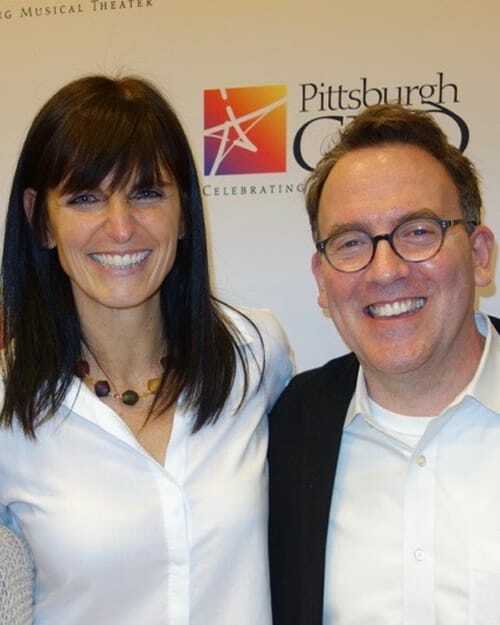 Kristin, a Pittsburgh native, is a composer and music director whose work has been performed in New York, Philadelphia, and now right here in Pittsburgh! Her mini musical Dustin Gavins P.I. with lyricist Sarah Ziegler was commissioned by 4@15 Musicals Program in conjunction with UC-Irvine, and performed in 2016. Kristin was the book writer, lyricist and composer of Cats and Mice, a full-length family musical produced at a Philadelphia private school.